This post starts a series of post about getting our business 200% ready for holiday season (I’ll call it HS). This gonna be a big challenge for both of us, but I have a really strong feeling that all hard work will pay off . If your business is somewhat similar, maybe you can hop on and give yourself a little kick to get out as much as you can from HS. What kind of business I’m talking about? As most of retail business, all our stores are doing best around holiday season – no surprise here, but we didn’t really take full advantage of this opportunity yet. Frankly, I think that we were never REALLY ready for this season but ha! What does ready for holiday season mean? 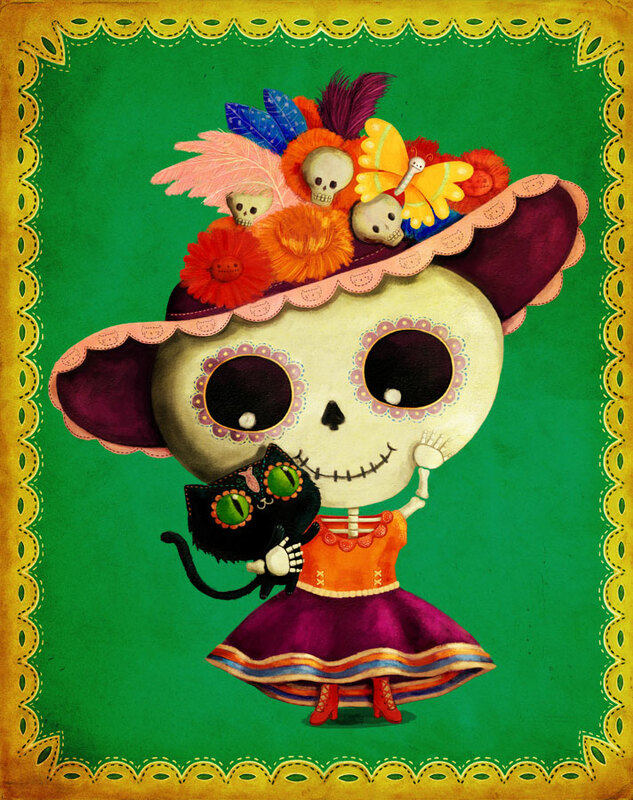 1) Halloween and Dia de los Muertos (Day of the dead) – while designs with skulls are getting love and sells whole year, October is a big month for them. 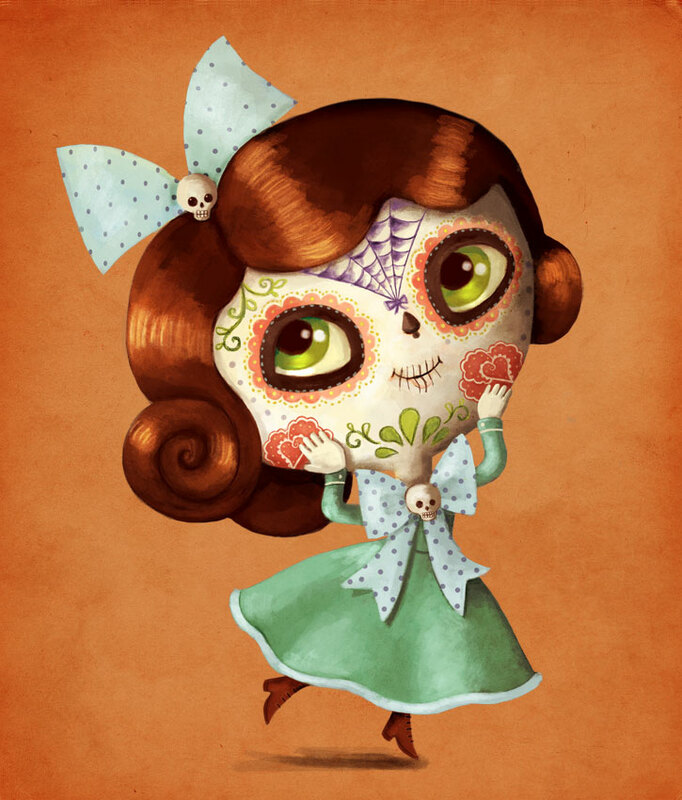 We have some range of those type of products but it can be better, and since Dia de Los Muertos illustrations got us most money so far, there’s a big chance that more things like that = more sells. (obviously it might not but we’ll never know until we try). 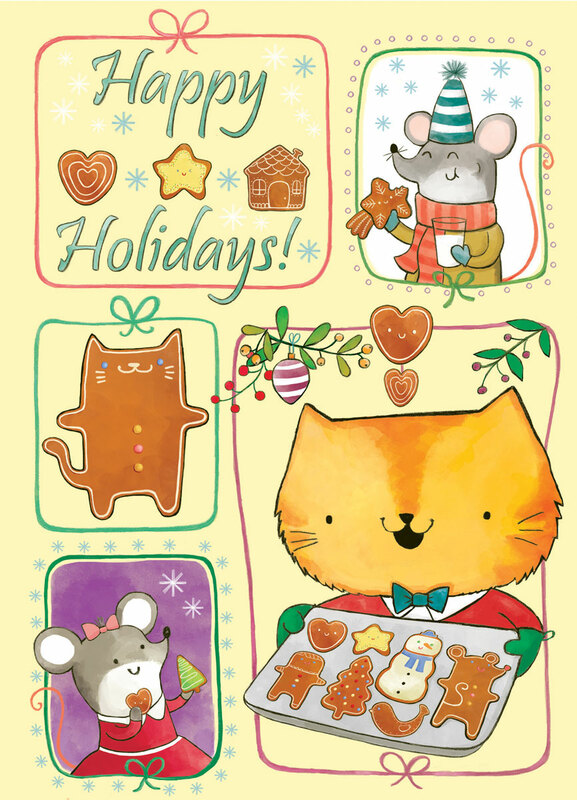 This is amazing how terrible* Holiday designs we sold – I bet it’s because people general go wild if it come to all things Christmas-y. Not that great cat will be more likely to be purchase if it wears Santa’s hat. This kind of illustration is not exactly my cup of tea and our offer in this section is oh well kind of embarrassingly small, but I know that I just have to change it! Luckily, I already get somewhat in the mood preparing some sample for my agent, illustrating one short story which partly happens during Christmas time and I have a contract signed for whole book about Holiday which I will start illustrate in a few weeks. Crazy. For some mysterious reason marketing is NOT what we both do great. Ok, I have some wins – my Facebook fan page is doing well and this very blog turned to be an unexpected success from the very begging(even though I abandoned it for a more than a month – ups never again!). But generally work/bragging about said work ratio is out of proportion. Back in a 70s and 80s my Mom was decorating storefronts. That was a tough time for our country and there was very little to buy in a shops (not that people had money or something), but my super creative mom and other artists like her was creating miracles with just handful of merchandise they ware given. You know – you have something and you get creative to make best of it. For example: my main occupation, picture books – what most of fellow illustrators do when book with their illustrations came out? 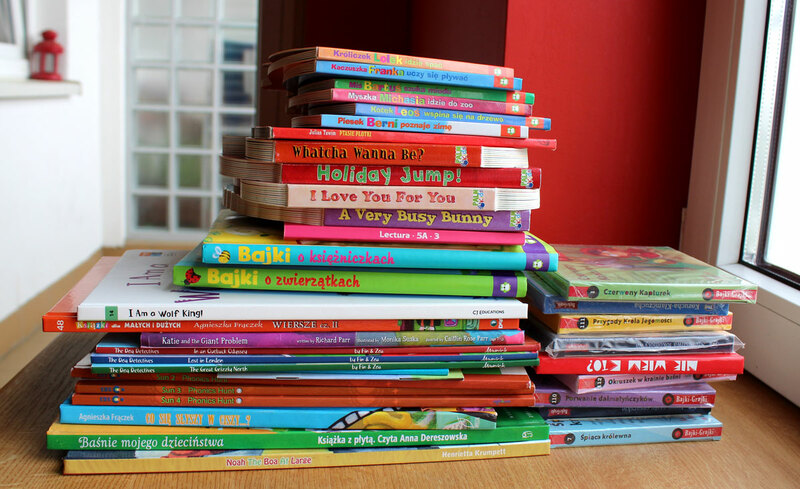 They do little campaign about it – show pictures of package from publishing house, many pictures of book itself, maybe with some little reader (product in action), share some reviews, news form publisher etc. What I do? Oh, this is so horrible – I do nothing or next to nothing. I have illustrated over 30 books and few other stuff and you could not guess that judging from my online presence. (Time to change that). Why? Is not that I’m not excited because trust me I am. I keep telling myself that is just a lack of time, but truth is that I could spare this maybe 2 or 3 hours a month without a problem but I have something stupid (no idea what) inside which blocks me. Books and CD covers I illustrated. With Zazzle and other on line stores I do same and Tytus is not better at all. It looks like I do designs and Tytus concentrates “only” on adding them with a good descriptions and tags. Meaning we stay in our comfort zone all the time. But hey! time to change and get serious! How we’re planning to promote our store? My first impression when I think about it is this : marketing Zazzle shops is difficult. Why? Well, there are not many role models to follow – eg. all Facebook fan pages of Zazzle stores are not that great with fallowing range 200-500 likes which is very little (this sort of range means that you invite your friends to like your page and some of them did it + few random people get on board too – is a start but not a success) I don’t know why, but most of those fan pages mostly post new products links and that’s it. What we both would love to avoid is to sounds like ” Hey, here we have a new products. Buy it! Buy it!, and btw. Did you hear that we have a products to buy?” I guess we have to get creative and figure it out by ourself. 1) my previously mentioned Facebook fan page with maybe not huge(4526 today), but quite loyal following which I value enormously. 1) Create a web page which will gather info about all of our POD shops in one place. This way we will have one url to put on business cards, on other pages we create, on small stickers we’ll handing over to people who ask us what we do for living etc. On that page will go some kind of manual for using POD stores as for some people is still kind of new idea. Maybe something about our process? Like behind a scene situation. We’re brain storming. 2) Obviously put this address as mentioned above. 3) I want to get back to posting on Instagram and build following there. I need a new phone for that, pfff. 4) We need to order some items and make a awesome photo shoot for them – virtual mock ups are ok but real time pictures are 10 times better. 6) As so far Dia de los Muertos designs are sort of our 20% which brings 80% of results, not only I create more of those, but also blog/page about it. With my Day of the Dead art and some things connected, my inspirations, other great artists work maybe? This is also in brainstorm phase. Is that all? Well, that’s a start and I’m sure that as soon as we get into this more ideas will come to us in a process. 2) our main goal is t learn how to promote our stores – what’s working, what’s not.